JML announced it has appointed Mark Graas, managing director of its Benelux operation since 2009, to the group board of directors. As the Benelux md Mr Graas has been responsible for establishing JML in Holland and Belgium, developing and executing company's long-term growth strategies, winning new retail accounts, expanding the JML multi-channel model and defining JML as major brand in the region. JML group managing director Ken Daly said: "Mark has done an incredible job in developing our business in Holland and Belgium and is a hugely talented entrepreneur. His expertise will now be invaluable at board level to help steer the company's future strategic direction." 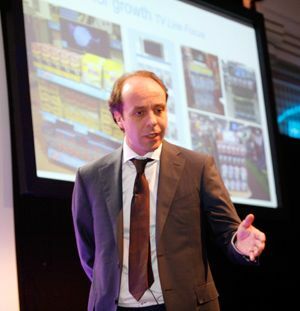 Mr Graas said of his appointment: "JML is a hugely innovative company. I feel privileged to join the board at such an exciting time and look forward to working closely with the team." Stupid to respond to 7 year old story, expecting response! Never heard of Google? Staff will likely have moved on.